Improve your ankle stability and balance with Courtney and Allie. 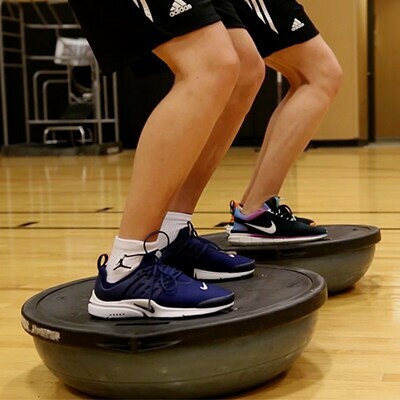 The BOSU Balance, taught by Ben from IBJI, will strengthen your ankles and help prevent injury. 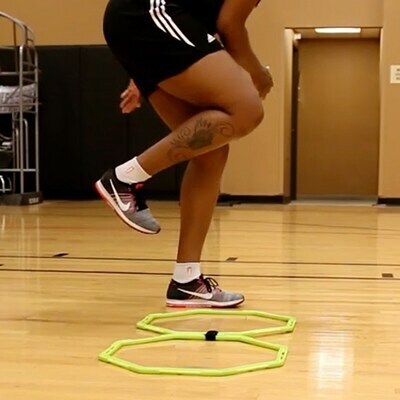 Learn how to increase your lateral speed and agility with Cheyenne Parker. The 1-2 Stick, taught by Ben from IBJI, will help teach proper single-leg loading for jumping and cutting activities. Take care of your muscles using this massage therapy technique taught by Donna from IBJI. Kahleah Copper demonstrates how to use a foam roller to decrease tension in the leg muscle tissue. 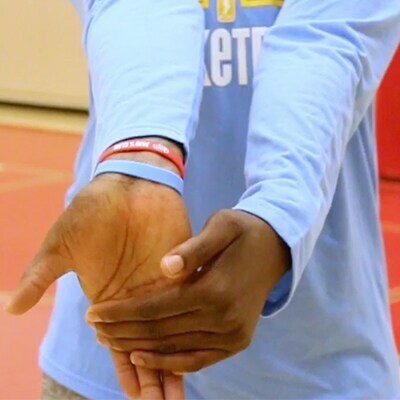 Learn how to relieve forearm tension with this stretching technique taught by Donna from IBJI. Watch Amber Harris demonstrate this technique post practice. Engage your core jumping muscles with Kahleah Copper and Amber Harris. 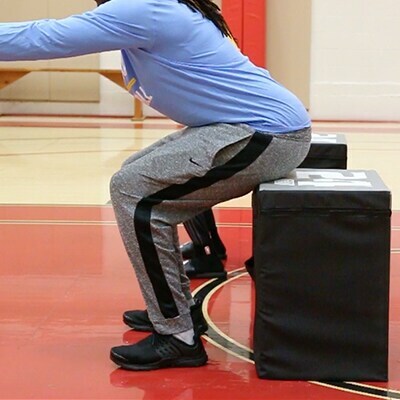 Squat Jumps, taught by Chris from IBJI, will reinforce proper jumping and landing mechanics.